This Orbit coil hose provides 25 feet of garden watering use. It easily recoils to stay compactly stored. This coil water hose comes with a turret water nozzle that has 6 different spray patterns. 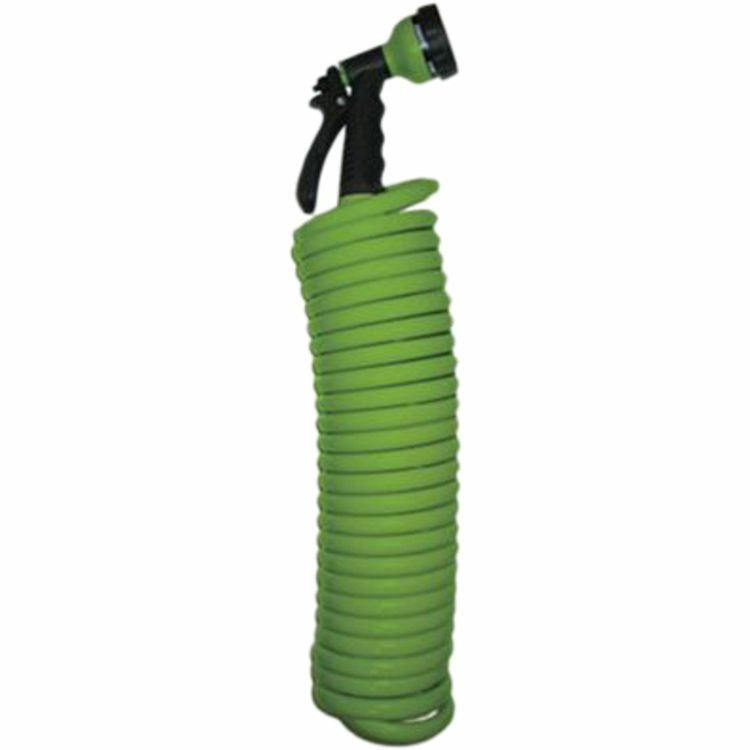 Green in color, this coil hose garden water sprayer is durably constructed to many years of dependable hose faucet watering. Whether you are replacing an old garden water hose or looking for a hose watering solution for your new garden, this water coil hose is just what you need.